PennsylvAsia: Eat Drink Man Woman at Maridon Museum, April 18. [A] look at ethnic and sexual conflicts in a Chinese family, with meals as a centerpiece of the film. Master chef Chu (Sihung Lung) is a long-time widower who lovingly cooks large Sunday dinners for his three daughters, who view the meals as too traditional. Secretly, however, successful airline executive Jia-Chien (Chien-Lien Wu) loves traditional cooking and would like to be a chef like her father, if women were permitted to do so. Her older sister Jia-Jen (Kuei-Mei Yang) is unmarried and cynical about men, but she becomes attracted to a volleyball coach and eventually pursues him vigorously. The youngest daughter, Jia-Ning (Yu-Wen Wang), is a college student who becomes pregnant from her frequent sexual escapades. As the film progresses, the personal relationships between the daughters and their significant others change unexpectedly. The Maridon is an Asian art museum at 322 N. McKean St. in downtown Butler (map) that presents Asian films from particular countries as part of its spring and fall series. Last year it was China and Vietnam. 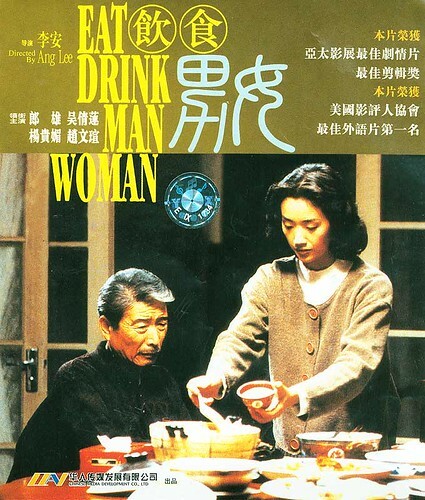 Eat Drink Man Woman begins at 6:30 pm and is presented by Dr. Kenneth Harris of Slippery Rock University.